The Beovision 3400 series represented the second generation of colour receivers from B&O. Their decision to stick with a partly valved (hybrid) chassis was unusual in the context of the British market but quite common practice on the continent where B&O sets sold in large numbers. Text copyright © Beocentral. Unauthorised reproduction prohibited. The reason for the model change was the arrival of a new type of tube, the Philips/Mullard “Phase II Delta”, type A66-140X. This new tube had a wide scanning angle of 110 degrees, allowing far slimmer cabinets to be designed than had previously been possible. B&O were the first to offer a set in the UK that used this new tube, making the 26” Beovision 3400 K the slimmest colour set of this screen size on the market. The cabinet was fitted tightly around the tube making the frontal aspect of the set nearly “all-screen”, an impressive achievement given the amount of equipment inside. Shaving those important few inches off the back of the cabinet came at a price however, as the Phase II Delta tube required more power and more precise scanning and convergence arrangements to work properly, something that meant it was necessary to redesign the TV chassis completely. Text copyright © Beocentral. Unauthorised reproduction prohibited. The Beovision 3400 chassis was superficially similar in appearance to that of the 3200. It was still arranged in two large assemblies, a receiver unit mounted behind the user controls and the decoder/power sections on a hinge-down unit around the back of the tube. The receiver and decoder circuits were changed very little, though the colour output stages lost their thermionic diode clamps in favour of semiconductor alternatives, a not completely successful change as the new parts were easily damaged by flashovers in the tube. The sound stages remained much as before and still retained the valve output stage, an odd choice given the limited space in the cabinet. Text copyright © Beocentral. Unauthorised reproduction prohibited. The real changes were made in the scanning sections. Firstly, the vertical sections were made completely solid-state. This was made necessary none of the available valves were powerful enough to meet the requirements of the tube. B&O’s transistorised vertical scanning circuit was DC coupled throughout and capable of excellent performance at the expense of considerable complexity. However, this was as nothing compared to the line scanning/high voltage sections. At a glance, these looked similar to those of the 3200, using two transformers and two pairs of large valves. In detail though this was not the case, for instead of having separate line scan and high voltage generator stages the two circuits worked together in a “push-pull” arrangement, allowing the massive amount of power required to scan the wide-angle tube to be developed. Because the two sections worked together, it was no longer possible to apply the precision regulation to the high voltage supply that had been a feature of the Beovision 3200. To avoid the use of a wasteful and potentially dangerous shunt regulator valve, the designers of the Beovision 3400 instead devised an ingenious arrangement that dispensed with the need for regulation altogether. Text copyright © Beocentral. Unauthorised reproduction prohibited. A regulated high voltage supply is required to keep the picture size constant when the scene brightness changes. In the Beovision 3400, the high voltage is unregulated to a great degree and varies over a wide range. However, to keep the picture size constant the high voltage is monitored and the picture re-sized by varying the drive to the scanning circuits to suit. This is done in real-time and is a highly unusual technique. It is effective though, the only way that the viewer can tell what is going on is the occasional hiss and crackle of static electricity when there is a sudden change in the overall picture intensity. To complement this, “dynamic focussing” was also employed, refocusing the beam depending on the region of the tube that is being scanned. To complement these sophisticated circuits “active convergence” was also employed, replacing the scratchy wire-wound controls of traditional sets with complex transistorised circuits. This made possible very fine adjustments that were stable over long periods, though there were even more knobs than usual to set up. Text copyright © Beocentral. Unauthorised reproduction prohibited. Cramming all this technology into a relatively compact cabinet made the Beovision 3400 very complex indeed. The final count of 10 valves, 108 transistors, 89 diodes and one integrated circuit (the sync separator and line oscillator) was between two and three times as many as some manufacturers got away with, though of course their sets could not match the performance of the 3400. At the time of launch, it was possibly the most complex object it was possible to have in the home. Being a valved design, power consumption was quite considerable, though it is to the designer’s credit that the set used hardly any more power than the Beovision 3200. The amount of heat generated in the cabinet did cause some reliability worries however and several modifications had to be issued by the factory to make the design a reasonably dependable proposition. Text copyright © Beocentral. Unauthorised reproduction prohibited. 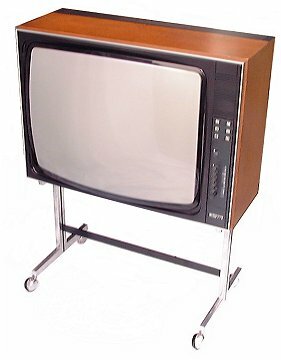 The Beovision 3400 marked a high-point in the development of the B&O colour TV. Subsequent models would be completely transistorised and loose many of the 3400’s sophisticated details, though advances in technology in the many fields involved in television design meant that eventually a similar level of performance was again achievable. The Beovision 3400 was replaced by models from the 39XX series such as the Beovision 6000. Text copyright © Beocentral. Unauthorised reproduction prohibited.